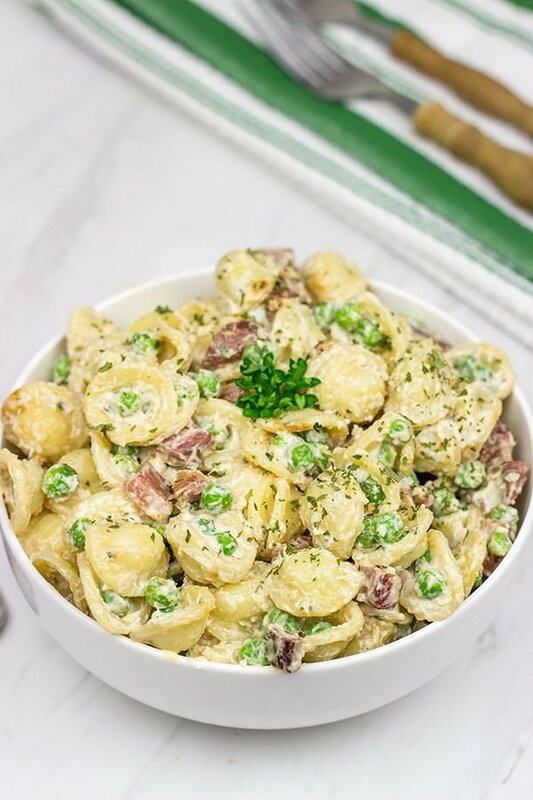 This Prosciutto and Pea Pasta Salad is a fun twist on a classic, and it’s an excellent side dish to serve alongside your favorite grilled summer recipes! Little ears. That’s the English translation of the Italian word ‘orecchiette’. And it’s spot-on. Orecchiette is a type (or really shape) of pasta that originates from the southern Italian region of Apulia. (For geographic reference, Apulia is the “boot” portion of Italy.) Olive oil, artichokes and tomatoes are among the key local ingredients in Apulia. And like most regions in Italy, Apulia also has a traditional pasta. In fact, a yearly festival in the small town of Latiano celebrates orecchiette. A pasta festival in southern Italy? That just earned a spot on my bucket list! It’s easy to see how this egg-less pasta gets its name, too. After all, the round, concave shape of orecchiette look like little ears. And the shape lends itself to capturing sauces and little vegetables. For this same reason, orecchiette is also an excellent choice for pasta salads. The unique shape of the pasta not only looks fun in a pasta salad, but it helps capture all of the flavor (and peas!). In fact, I almost always keep a box of orecchiette in the pantry during the summer months…because you never know when the urge for pasta salad might hit! 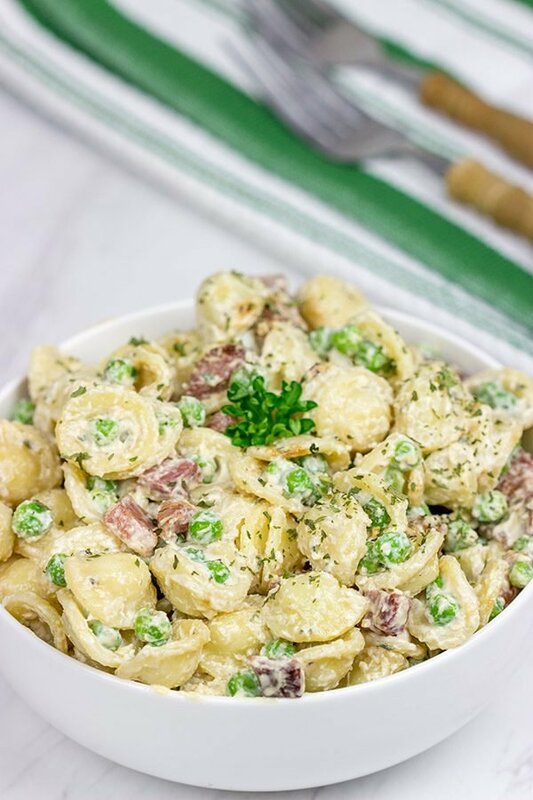 In keeping with the Italian roots of orecchiette, the prosciutto in this Prosciutto and Pea Pasta Salad brings a ton of flavor to the finished dish! Prosciutto is cured ham or wild boar, and it’s typically served as very thin slices. But this Prosciutto and Pea Pasta Salad is different. It uses cubed, cooked prosciutto. To make this pasta salad, I stopped by the deli counter at my local grocery store and asked for 1/4″ slices of prosciutto. 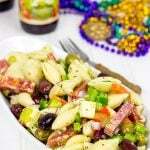 (I picked up this trick from my mother-in-law’s Antipasta Salad recipe…another summer staple in our house.) The lady behind the counter at the store gave me a funny look and asked me what I was making. Once I described the pasta salad, she was on board! At home, I cut the prosciutto into cubes and cooked it in a dry skillet. I actually picked up this idea from a small, Italian deli here in town. They make one of the best pasta salads I’ve ever eaten, and it involves cooked prosciutto. I would never have guessed! Cooked prosciutto is very reminiscent of bacon, but better. (Is there actually anything better than bacon??) In fact, the last time I picked up some of this pasta salad, I got to talking with the guy behind the counter and he suggested making a BLT with cooked prosciutto instead of bacon. *mind blown* That needs to happen sometime soon! 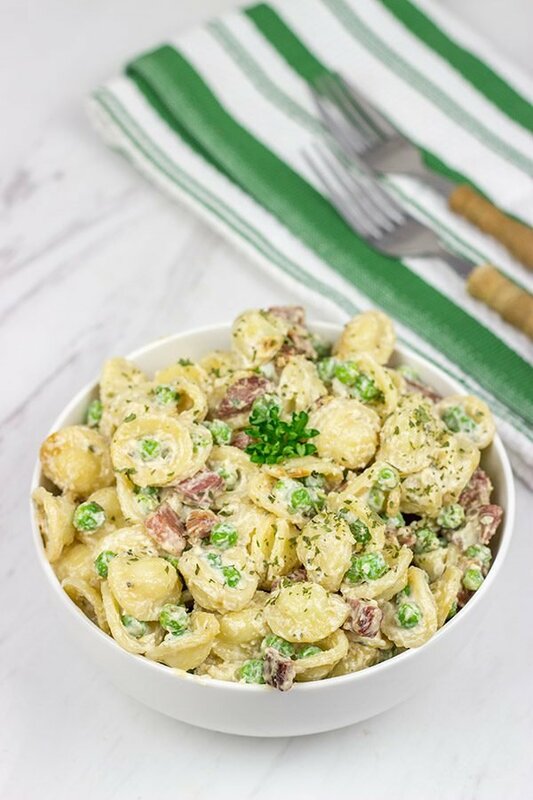 If you’re looking for a fun new pasta salad to serve alongside grilled summer recipes, then this Prosciutto and Pea Pasta Salad deserves a chance to shine! Like all pasta salads, though, this one will taste better if you make it the day before and let it rest overnight in the refrigerator. Enjoy, my friends! While pasta is cooking, place a skillet over medium-high heat. Once hot, add prosciutto cubes and cook for 3-4 minutes, stirring often. Once prosciutto is slightly crispy on edges, remove cubes to a paper-towel lined plate. 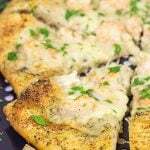 Using a large bowl, combine the cooked pasta, cooked prosciutto and all remaining ingredients (mayonnaise, sour cream, parsley, pepper, olive oil, Parmesan cheese and thawed peas); toss until well combined. Prosciutto is typically sold as thin slices. For this recipe, order prosciutto from the deli counter and ask for ¼” slices. Then just finish cutting the prosciutto into cubes at home. I agree with you, Dawn! I love the translations, and I love learning about the history/stories behind certain foods. Mmmm…weekend BBQ! Sounds like a lot of fun. We’re doing the same with a bunch of our friends next weekend. Hope your week is going well! Yes! Pasta salad really is one of my favorite things about summer, and I had a lot of fun playing around with prosciutto in this version. Yum! Thanks so much, Kathy! Love this! Nice and refreshing. Love the peas, but I especially like that you included Prosciutto. Project for next year: let’s plan a blogger field trip to the pasta festival. How amazing would that be? Sometimes I feel like my whole life is actually one giant pasta festival because I love the stuff so much. I’ve been making pasta salad with peas and pesto forever but I think I’ll change things up and make this one! It’s perfect for the Fourth! Yes! I am on board with a field trip to Italy…especially since said field trip revolves around food. 🙂 I agree with you about pasta, too. It’s so versatile, and so many of my favorite recipes use pasta in some form! 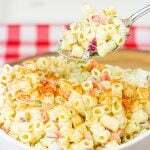 Since summer is here…that means it’s time for one of my favorite summer sides–pasta salad!! Thanks so much, Kelsie! 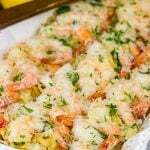 I love the Prosciutto in your great looking pasta salad, perfect for a picnic on the beach. A pasta festival in southern Italy you say? Wait till I tell Lynne, we’ll be on the next flight! Ha ha!! I will need to see if my local supermarket stocks orecchiette pasta. Especially because as you say it’s an excellent choice for pasta salads and Lynne and I like to enjoy those during these summer months. Whilst not the same as using cubed prosciutto, I can imagine using some cubed chorizo that I have in my freezer. Whilst that might mean this recipe is “less Italian”, it still means I can give it a good shot. Thanks for this David. Hope you and Laura are well! It sounds like Lynne’s love for pasta is pretty close to ours…haha! Plus, it’s Italy. What’s not to love about Italian food? 🙂 So definitely see if you can find orecchiette pasta in your local market. (I bet you can!) It’s the perfect shape for summer pasta salads if you ask me. And I’m thinking chorizo would still be a good addition here. Chorizo isn’t Italian as you say, but it does pack a lot of flavor in a small package! Thanks, Neil!! I’ve eaten my fair share of pasta salads with orecchiette but didn’t know much about these curvy little “ears” so loved reading about its place of origin – speaking of which, if I told lil shashi there was a “pasta festival” in Italy, she’d be saving every penny so we can time our next trip to coincide with it as that child LOVES pasta more than anyone else I know – guess what she fixed herself last night AFTER dinner was done?!?! BTW – dude – to answer your rhetorical question of “Is there actually anything better than bacon?” NO! NO there isn’t- IMO anyway! Lately I have been baking batches of bacon – makes for easier clean up but results in a bigger batch than I usually make and THAT can get dangerous around here! Looking forward to that BLT with cooked prosciutto around here! Happy Tuesday to the Spiced Clan! Haha! I say we plan a trip to Italy, and we eat our way across the country. Lil Shashi can eat as much pasta as she can possible imagine…even as 2nd dinner. 🙂 And yes to the bacon as well. Like Neil mentioned with chorizo, bacon packs such a flavor punch in just a tiny little amount. Great idea to bake up batches in advance. The only problem is I think I’d snack on all of it before I ever used it in a recipe! David, this salad looks scrumptious! I love love love cooked prosciutto! We like to put it on pizza! (Cooked/ uncooked/half cooked – it’s prosciutto so its all good, right?). But this salad is def on my list to make this summer. Pinning. Yes! So you are already familiar with the wonders of cooked prosciutto then? It has so much flavor! I mean I do love prosciutto in it’s traditional cured state, but I gotta say this pasta salad really turned out quite well. And pasta salads are one of my favorite things about summer! Thanks so much, Laura!! I am a huge fan of pasta salads (Sadly, Andrey isn’t. But I’m working on it), and I anticipated some summer pasta ideas from you David. Here we go! Although I don’t normally eat pasta salads with mayo dressings, this creation looks super appealing (“yes” to the addition of sour cream!). I certainly love all the ingredients, especially rich prosciutto and refreshing peas. Please create more pasta salads! Well, slow and steady, Ben. Andrey will eventually come around with pasta salads. And if he doesn’t? Well that just means more for you…haha! So I totally agree with you about pasta salads with mayo. I hate (hate!) mayo-gooped pasta salads, so that’s why I often cut the mayo down and use sour cream in it’s place. The substitution works well in my opinion! More pasta salads you say? Coming right up then! Hi David. I went to my local grocery today because when I saw this salad I knew I had to make it! 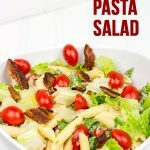 I’ve been craving pasta salad and this will certainly satisfy that craving! I was unable to get orecchiette or even shells (remember where I live) so I settled for small bowtie pasta. What do you think if I added some sun dried tomatoes? Have a great weekend! Hey Dorothy! Good to chat with you again, my friend. 🙂 Bummer that you couldn’t find orecchiette in your store, but I get it. It’s not the most common type of pasta…especially if you have limited grocery store options. But bowtie would totally work for this pasta salad! And I think some sun dried tomatoes would be an excellent addition. I hope you got the chance to make this one this past weekend…it’s a fun twist with the cooked prosciutto in there. Tell Gary I said hello, and I hope you are both doing well! Looks like a great pasta salad. Interesting about the prosciutto. We love eating cold pasta dishes in the summer. Cooking the prosciutto (and keeping it in cube form) adds such a fun twist to this pasta salad. Pasta salads really are one of my favorite things about summer, too! Thanks, Dawn! Why are peas and pasta such a good combo? I don’t know, but I do know that I would like this salad. Probably for the same reason why strawberries and Grand Marnier are such a good combination. 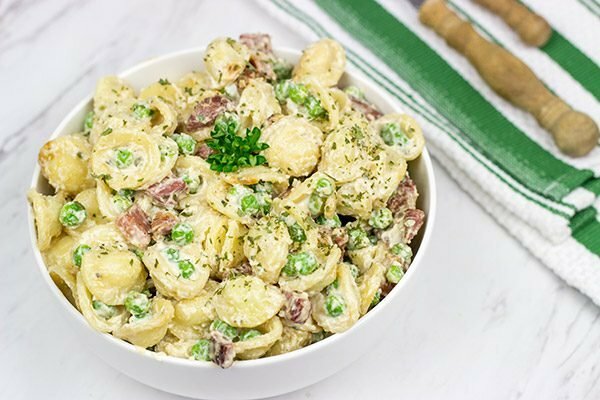 Peas and Pasta just seem to be made for each other, growing up tuna casserole always had peas in it, then I started putting them in my pasta salads – great combo ! You make a good point about peas in tuna casserole. Funny story. Robbie’s babysitter was actually housesitting for us while we were in Maryland, and she totally made a classic tuna salad (with peas!). When we got in, we were starving, and we went to town on the leftovers. Then I hop online and see your comment about peas + tuna salad. Too funny! Isn’t it great to come home from vacation and find someone has kindly left food in the fridge for you !!! This sounds great David. I love peas in pasta salad, have used bacon before, but never would have thought to use prosciutto. 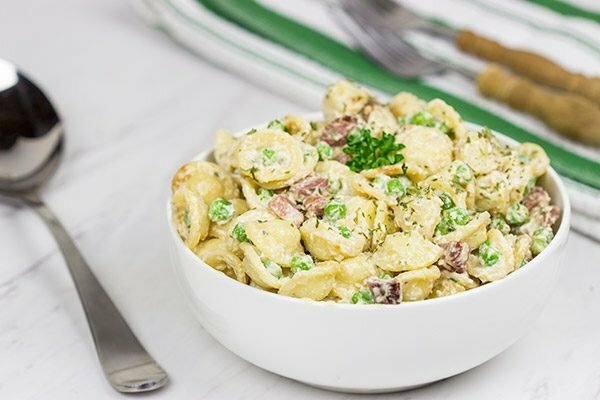 And the orecchiette looks perfect for a salad with peas, place to catch the peas, I usually use shells when using peas, but I will look for some orecchiette. Always looking for new pasta recipes, thanks !! So I love bacon! But the cooked prosciutto in this pasta salad? It takes it up a notch for sure! And now I want to try making a BLT with prosciutto…can you imagine how good that would be!? Like you, I’m always on the hunt for new pasta recipes. It’s such a versatile ingredient, and summer pasta salads are one of my favorite dishes! HAPPY 4TH To You, Laura and Robbie – Enjoy !!! Thanks, Mar! And let’s start that PLT term, ok? It does sound delicious! I’m going to have to try one, fresh tomatoes should be out soon !!! Have you had Prosciutto and roasted red pepper roll ups ??? 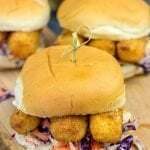 OMG they are so heavenly- if you haven’t tried them, let me know and i’ll give you the recipe. David here is link to the roll ups ! Roasting peppers is NOT my thing, I use Mezzetta roasted red pepper strips (from Napa Valley, CA) – come in a jar, taste just as good as doing your own, I just drain them well on paper towel while I’m getting everything else ready. Any leftover peppers can be put on a sandwich or fry up some onions and mix with peppers and serve over meat or mashed potatoes, yup really good !!!! Awesome…thanks so much, Mar! The link did indeed work. And I’m familiar with those Mezzetta roasted red peppers. In fact, I think I have half a jar in the fridge right now. This recipe sounds awesome. I didn’t expect to see the puff pastry there, but it makes sense. This would be a great summer appetizer! I appreciate you sharing this one. I’m always on the lookout for fun recipes! YW David, hope you enjoy them ! They are quite addictive after the first bite 😉 Have a fun day ! Hey Mar! Long time no talk, my friend. I was excited to see your name pop up in my email this morning! I understand skipping on the parsley, but the celery seed is an excellent switch. And the vinegar + sugar is another good combo. I’ll have to try that out next time I make this salad…which will probably be soon since the weather is finally starting to break up here. I’m ready for summer comfort food now! The whole family is sick, but such is life at this time of the year. Hopefully we’ll kick it by the weekend. Hope you are doing well! Other than than that, we are doing ok. D got bored with retirement and went back to work – saving up for a trip out west to visit friends and family and hit some of the national parks, will be good to get away. Oh my gosh, I am so sorry to hear about Annabelle. Maximus (my pup that I got right after college) crossed the rainbow bridge last May. I still get emotional thinking about him. I miss that guy! Hang in there, my friend. It’s tough. I don’t blame D for going back to work. Retirement sounds like fun…until it gets boring, right? The trip out west will be a fun reward! We’re thinking of a Napa trip later this year, but we’ll see. Take care yourself, my friend! Yup, we’re improving over here! It’s been rough having the whole family down, but that’s how it tends to go, isn’t it? It’s so strange. Even almost a year later, I’ll see a white blanket in the corner and think it’s Max. Or I think I’ll hear his collar jingling. It’s tough. Hang in there, though. I just wish our pups could live as long as we do. The chocolate pie I made is seriously one of the easiest pies I’ve ever made. It was a baked pie – chocolate fudge. Served with a scoop of vanilla bean ice cream for good measure, too. 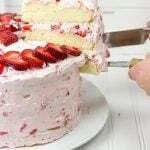 There are a few slices left in the fridge, but they won’t last long! It is the pitts when everyone sick at same time, glad you are improving !!! I think we’re about 90% recovered here…let’s keep our fingers crossed that we stay on schedule! We’re just starting to see the first buds on trees, so allergy season might be rolling in next. We’ll see! I’m ok with that part, though, just because I am so ready for warm weather! Glad to hear you are recovering – hope you make it through allergy season without anyone getting ill = Forsythia has already bloomed and greened out here, most of the daffy’s are done, some lilacs are blooming, depending on the species, my daylillies are popping through the ground and trees are budding, lots of pollen here. Wow, you’ve got a serious headstart on us in terms of the blooms! We’re just seeing the start of bulbs coming up from the ground…but at least the snow is gone! (We had a late 1″ of snow last Friday…what the heck!?) You know what? I’m actually really excited for thunderstorm season! I love a good storm…as long as everyone is safe, of course. Hope you had a great day, my friend!